Clarence Milton “Mocus” Pitt, 83 of Kingdom City passed away on Thursday, October 11, 2018 at Fulton Presbyterian Manor. He was born in Fulton, Missouri on May 9, 1935, the son of the late Orza Otis Pitt and the late Opal G. (Breckenridge) Pitt. Mocus was united in marriage to Doris (Scott) Pitt on August 23, 1954. She survives his passing. Mocus owned and operated Pitt Salvage Yard. For 43 years, he drove a bus for North Callaway School District. He enjoyed playing cards, watching Wheel of Fortune, and spending time visiting at Wright Brothers Store in Calwood. His memory will forever be cherished by his wife of 64 years; children, Rose Shults (Crawford) of Kingdom City, Rita Pitt of Kingdom City, Clarence “Jum” Pitt of Fulton, Carolyn Bernicky (Dwayne) of Kingdom City, Matt Pitt (Kimberly) of Montgomery City, and Renee Pitt of Kingdom city; sisters, Carolyn Tendick of South Carolina, and Doris Butts (Phillip) of California, Mo. ; grandchildren, Dallas Anarade, William Shults, Wyatt Shults, Shannon Pitt, Travis Pitt, Nicki Bernicky, Lori Bernicky, and Craig Bernicky; great-grandchildren, Erin Pitt, Dakota Yancey, Ethan Pitt, Will Shults, Sara Bernicky, Kylie Williams, Blake Williams, Caleb Pitt, Brooklyn Pitt, Kortney Jones, Khole Jones, Lilly Pitt, Zeke Pitt, Joey Andarade, Alexa Andarade, Payton Andarade, Katie Bernicky, Scott Winingear, Haley Bernicky, and Brady Bernicky; several nieces, nephews, and extended Calwood family. 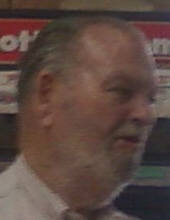 Along with his parents; Mocus was preceded in death by daughters, LeaAnn, Karen, and Sharon Pitt; brother, Nelson Adams; and great-grandson, Hunter Pitt. Funeral services will be held at 2:00 p.m. on Wednesday, October 17, 2018 at Maupin Funeral Home in Fulton with Pastor Mike Crowson officiating. The family will receive friends from 11:00 a.m. until the time of service at the funeral home. Interment will be in New Hope Cemetery. Memorial donations are suggested to New Hope Cemetery, c/o Maupin Funeral Home, 301 Douglas Boulevard, Fulton, MO 65251. To send flowers or a remembrance gift to the family of Clarence Milton "Mocus" Pitt, please visit our Tribute Store. "Email Address" would like to share the life celebration of Clarence Milton "Mocus" Pitt. Click on the "link" to go to share a favorite memory or leave a condolence message for the family.